• Infection is a major cause of morbidity and mortality in traumatized victims, as well as an unfortunate complication following surgical procedures. The incidence of such infections is probably related to immune suppression occurring after severe trauma and surgery. Cell-mediated immunity is an arm of immunity that is probably important in defense against bacterial as well as fungal and viral infections. The status of cell-mediated immunity appears to be reflected by the helper/inducer to suppressor/cytotoxic lymphocyte (Ly1+/Ly2+ in the mouse model) ratio. A depressed ratio has been shown to correlate with other measures of suppressed immunity. Using monoclonal antibodies and immunofluorescent analysis, splenic lymphocyte subpopulations were enumerated at different intervals after injury in mice receiving various injuries (laparotomy, 40% liver resection, burn injury covering 20% of total body surface area, and crush injury—amputation of hind limb). An immediate fall in the Ly1+/Ly2+ ratio was observed following the most severe injuries, namely, liver resection, burn, and crush injury—amputation, but not following laparotomy. Changes in the ratio were reflected by both decreases in helper populations (Ly1+ ) and increases in suppressor populations (Ly2+). Prostaglandins and histamines have been implicated as possible mediators in producing down-regulation of the immune system. 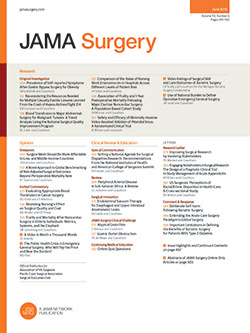 Posttraumatic lymphocyte alterations were prevented in crush injury—amputation group mice when drugs (ibuprofen and cimetidine) to block such mediators were administered prior to trauma; changes were also prevented by administering cyclophosphamide, a drug which in low dose might inhibit proliferation of suppressor lymphocyte populations.